Lay-Far returns to GAMM with three slices of jazzy disco numbers that got joyful dancing written all over them. He's carefully selected his fave disco, jazz-funk and fusion tracks from Herbie Mann (Etagui), FSB (Morning) and Mass Production (Cosmic Lust) that were just asking for that special Moscow edit touch. Gentle perfection! This is the second single taken from the forthcoming 3rd album by Lay-Far on his own label In-Beat-Ween Music! “Be The Change" is both timely and timeless message, written in collaboration with one of the strongest soulful vocalists of the last 2 decades - Pete Simpson. It's conscious, it's spiritual, it's political, it's rebellious! Version Galore is a newly found label, deeply rooted into the music culture. We bring you the selected reworks / versions from the top producers in the game, showing lots of respect and care for the original, but elevating it's spirit and taking it somewhere else. It's all about the dialogue of cultures and the idealistic desire to pass the music legacy on! No half-measures, played-out tunes, lazy cuts, or boring "808-kick boosting" biz! 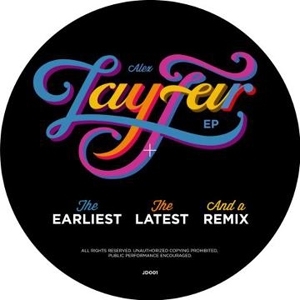 On the second release of the label we are delighted to present you something special from the heart of Russia - handcrafted re-edits by the Moscow-based groove expert Lay-Far of Basic Fingers, GAMM & BBE fame.